“No enterprises in the future is able to declare that it is not connected with artificial intelligence,” said LI Yanhong (李彦宏), founder and CEO of search engine giant Baidu, in the 2018 World Artificial Intelligence Conference. It’s true that artificial intelligence has been applied to almost all of the sectors, from automobile to education, and also healthcare, which is deeply connected with every single person in this world. On or before the year of 2021, AI will save up to USD 52 billion for the healthcare worldwide, according to research by ABI Research. The research indicates that most industrial sectors have already brought AI into their plan of development, even though AI hasn’t been widely commercialized. For example, pharmaceutical companies continue to invest in AI for drug discovery, and some AI vendors target patients for pre-primary care. AI has yet to generate a molecule design for a drug that has gone to market, but some companies have made it into Phase I and Phase II trials with successful results so far. The research says that hospitals in Israel and the United States have already started to adopt AI-based predictive analytics. The number of patient monitoring devices using the data to train AI models for predictive analytics will rise from 53,000 at the end of 2017 to 3.1 million in 2021 with a CAGR of 176%. In China, we can see that AI has been used by lots of startups to improve the healthcare industry. The typical AI healthcare startups include United Imaging Healthcare (联影医疗), Yucebio (裕策生物), and Medtrum (移宇科技), which focus on healthcare imaging and genetic technologies. But in the year of 2019, we may see something different to come. The so-called telehealth provides healthcare services to people who live in isolated places such as the rural area, which not only will reduce patients’ time costs, but also will decrease the admission rate of hospitals so that they can provide healthcare service to inpatients. Telehealth has been developed since the boom of Internet-based video call technology, but the traditional way requires human doctors to talk with patients. With the development of computer vision and image recognition, it’s possible for the remote healthcare service provider to preliminary screen patients’ symptoms by using these technologies. On the other hand, medical workers can use AI tools to take care of their inpatients whenever they are at the clinic or at home. 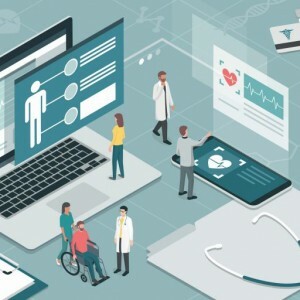 Research by Market Research Future shows that the market volume of AI-based remote healthcare will boost at the growth rate of 16.5% from 2019 to 2023. San Francisco based startup Ginger.io has been providing healthcare services to all of the users around the United States. With a team of coaches, therapists, and psychiatrists, the company uses machine learning and artificial intelligence to provide services in partnership with 40 healthcare organizations across the country. Recent research publishes at the European Respiratory Society International Congress 2019 shows that AI has the ability to help doctors to precisely identify the symptom of respiratory, and give the correct diagnostic suggestions. Dr Marko Topalovic (PhD), a postdoctoral researcher at the Laboratory for Respiratory Diseases, Catholic University of Leuven (KU Leuven), Belgium, told the society that after training an AI computer algorithm using good quality data, it proved to be more consistent and accurate in interpreting respiratory test results and suggesting diagnoses than lung specialists, according to the congress’s website. In this study, the researchers used historical data from 1,430 patients from 33 Belgian hospitals. The data were assessed by an expert panel of pulmonologists and interpretations were measured against gold standard guidelines from the European Respiratory Society and the American Thoracic Society. AI has the ability to analyze multiple data sources to give predictive analytics and provide personalized diagnostic suggestions and disease risk reports, which has helped medical workers a lot. For example, the California-base personal genomics and biotechnology company provides genetic testing and interpretation to individual consumers, which can be used to make suggestions of using target medicines. In October 2018, the U.S. Food and Drug Administration permitted marketing, with special controls, of the 23andMe Personal Genome Service Pharmacogenetic Reports test as a direct-to-consumer test for providing information about genetic variants that may be associated with a patient’s ability to metabolize some medications to help inform discussions with a health care provider. The similar company in China is Geneplus, who raised CNY 50 million (about USD 7.4 million) in its latest funding round led by its previous investor Beijing Genomics Institute in January 2019. 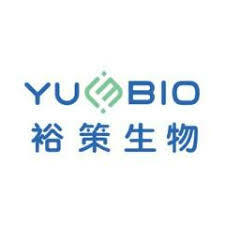 Yuce Bio is a medical health company, the first genetic testing and big data analysis company in the country to focus on tumor-accurate immunotherapy, founded by a team of top-notch tumor genome experts.